All rights reserved. No part of this publication may be reproduced, stored in a retrieval system, transmitted or utilised in any form or by any means, electronic, mechanical, photocopying, recording or otherwise, without written permission from the publisher. 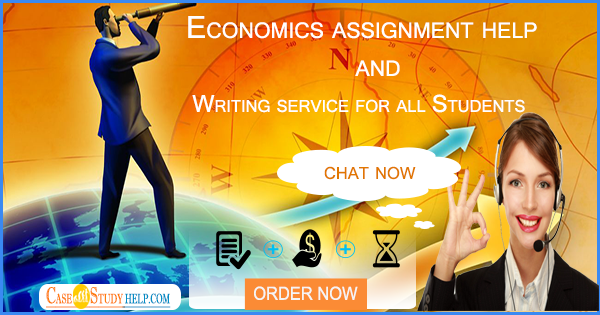 Important: These pages provide guidance on how to write your assignment. Please ensure you read all of this information right through until the checklist at the end. Before you start work on this assignment, please ensure that you have read the Assessment Guidance specific to this module and are familiar with the advice in Social Sciences Assessment Information. These sources contain support and guidance that you may need in writing your TMA including, for example, advice on plagiarism, referencing and the marking system. Note that failure to comply with relevant guidance could result in the loss of marks or other penalties. Answer ONE question from Part A, follow and complete ALL the instructions in Part B, and answer ALL questions from Part C. The questions asked in Part A do not apply directly to your own research project. They give you the opportunity to apply the research skills learned in Block 5. Part B gives you an opportunity to discuss initial project ideas with other students. Part C builds on Parts A and B and asks you to prepare your own initial project plan. Together, the three parts of TMA 05 mark the first steps towards your research project. Please note the word limit for each part of the TMA. Answer ONE question from Part A. Choose either Question 1, or Question 2, or Question 3. Answer the Question (1, 2 or 3) for the research method that you have chosen for Block 5. Produce some descriptive statistics and draw histograms for the variables relevant to the analysis of the research question. Question 2: Collection and analysis of primary data Imagine that you have decided to research the topic of decision-making in households in relation to quality of life OR human capital. Specifically, you want to investigate whether there is support for theories of household decision-making and whether there is any evidence that different approaches to decision-making has a differential impact on either quality of life or human capital formation. Prepare a plan for a semi-structured interview – based on theories of decision-making in households – with individuals who live in couples. The plan might include a statement of interview aims, i.e. the research question the interview seeks to address; a set of questions to be asked, which might be grouped into themes if appropriate; and a brief indication of how the findings will be used and analysed. Recruit a volunteer to be interviewed, and use your list to undertake the interview, based on your research question. Keep the interview quite short – no longer than ten minutes. To complete this exercise, you will need some results from the interview (in the unlikely event that the first interview is not informative, or calls for a complete rewrite of your questions, it might be prudent to find another interviewee). iii. Write up your notes on the responses of your interviewee(s). iv. Code these notes using headings relevant to your research question. If possible, use economic theory to help with your headings and coding. Write a brief summary of your findings from the interview(s). vi. Finally, make short notes on the interview experience: what aspects were successful and what would you do differently another time? Define a manageable research topic, with a possible research question related to the report. The research topic should be related to economic welfare. Search for two further sources that will be useful in elaborating your project; you should provide references for these, and explain the criteria you used in selecting them and how they relate to your research topic. iii. Provide a written statement explaining how you would design your case study, specifying the sections into which the study would be divided. Follow all of the instructions in (1) to (4) in this part. Post your short summary to your Tutor Group Forum. Now, as part of your TMA, copy and paste you summary along with ALL your forum posts AND the original summaries to which you were responding. The theory and literature review, which should include at least two references that underpin your empirical work. This should focus on theory and materials from the module, but should also bring in related outside reading on theory, policy and debates. a reflection on how your empirical analysis contributes to answering your research question. A statement of some possible or preliminary findings, such as reflections on a pilot interview, a piece of evidence relating to a case study or the results of a regression equation. Reflections on the comments by others, if any, on your initial ideas in Part B. If you have not received any comments on your summary, reflect on how the process of reading other students’ summaries and commenting on them has made you revise your own project (or not). A timetable indicating the points in time by when various aspects of the research will be completed. a checklist to ensure you have done everything required for this assignment. one or more research techniques in economics. carry out a short literature review and a research project in economics using either quantitative or qualitative research methods. use software packages to carry out statistical analysis. work independently to analyse a research question using either quantitative or qualitative research methods. Part A of TMA 05 is made up of three alternative questions. You should answer only one part of Part A (either Question 1, 2 or 3). Each part relates to one of the three types of research method you can use for your project: econometrics; collection and analysis of primary data; and collection and analysis of secondary data. You should answer only the question that relates to the research method you have chosen during your work on Block 5. The link between market structure and performance (profits) is analysed in Chapter 7. In this question you are advised to use price–cost margin (PCM) as a measure of ‘performance’. Question 1 (i) asks you to produce descriptive statistics for variables that might be used to understand the extent to which concentrated market structures cause supernormal profits and inhibit competition. For each variable of interest, you should produce and discuss descriptive statistics and histograms. You will also need to investigate the relationship (e.g. scatterplot and correlations) between the variables of interest and relate these results to economic theory. You will find relevant theory in Chapter 7. Question 1 (ii) asks you to specify a model that can be used to analyse the data. You need to justify your choice of the dependent variable and the model specification proposed. The descriptive statistics from Question 1 (i) will help in deciding on your econometric model. appropriate estimation method and use this to analyse the statistical significance of each variable and the statistical quality of the model. You should consider what suitable diagnostic tests to run, discussed in Block 5, to see whether there is evidence to suggest that these could undermine the estimation carried out. Finally, you will need to discuss how effective your econometric strategy is in addressing the question of the extent to which concentrated market structures cause supernormal profits and inhibit competition. You will need to consider whether the data and the results provide convincing evidence to answer this question. This will also be a good moment to think about any possible additional variable you would have liked to include in your econometric model to identify the effect of market structure on performance. One of the most important skills needed for undertaking primary data collection is the ability to carry out interviews. The work in Block 5 on primary data analysis encouraged you to practise this skill, and also provided examples of interviewing technique. This part of the TMA gives you the opportunity to demonstrate and extend your interviewing skills. When thinking about your themes and/or questions, you may find it helpful to think of ways in which you could start and then develop the interview so that it elicits responses that go beyond the obvious, if possible. We have chosen a topic that you have studied in Part 1 of the module, and a topic for which it should be possible to recruit a volunteer interviewee. For example, if you focus on human capital – a volunteer with any post-school education or training that involves costs would be suitable. The main source for topics and questions on household decision-making is in Chapter 4. The topic of human capital is discussed throughout the module, particularly in Chapter 3 and Chapter 9. Topics related to quality of life, such as welfare, are discussed in Chapter 9. For this assessment you should submit: your list of themes and questions, your coded notes, your summary of findings and your note on the interview experience. ‘Measuring progress and human development’, plus two additional references, to answer the questions. particular study found; finding out more about the study itself; or comparing the study’s findings on your topic with findings from other studies. At least one of your sources should help you to relate this study to economic theory. In writing your statement you will find it helpful to refer to the guidance on project structure in Week 1 of this block, and also to the sample secondary- data project we have used as the basis for a good deal of the work on secondary-data research. Part B gives you an opportunity to share your preliminary thoughts about the research project. It is also an opportunity for you comment on the ideas of other students and to receive comments on what you are thinking of doing. Your comments should be constructive and draw on moduel materials wherever possible. The design of a research project is covered in Block 5. Doing TMA 05 will give you the opportunity to develop an initial plan for your research project, and receive feedback from your tutor. Your initial research plan should use no more than 750 words. Your research project will evolve as you develop it but the plan is an essential step as it will help you bring your theoretical and empirical interests together with your preferred set of methods for tackling your research question. The plan will help you take stock of where you are at this point and help you understand the key steps you need to follow to accumulate and analyse your data. It should help you start to identify a structure for your final project even if the structure changes in light of what you find or difficulties that you come across. So the plan is not expected to be a final version that incorporates all the various sections of your project. That said, do use this opportunity to think about how you will relate economic theory from the module to your empirical work, and whether your approach is likely to provide the answer to your research question. Remember, research is an iterative process and it is likely that you will still be revising your project until close to the final EMA deadline. However, it is imperative that you submit your EMA on time because you will not be granted any extension. So do make sure your research timetable is realistic. By this stage of the module, you should have a clear initial research plan. You should be working towards a well-defined research question and have some concrete ideas of how will obtain and analyse your data. Is your research question well specified, not too broad, and feasible? How confident are you about using your chosen research method effectively for your project? Have you changed your ideas as a result of receiving or giving comments on the Tutor Group Forum? What were the main challenges you expect to encounter when working on your project and how might you overcome them?